Let's get the bottom-line out of the way at the beginning: Windows Phone is a fine smartphone operating system and the Lumia Icon is a very nice phone. If you're entrenched in the Google world, you might struggle with it, but if you're a Microsoft user or a new smartphone buyer, Windows Phone can be a good option. Those are the broad strokes. There is a lot more to discuss. I need to give a shout-out to Microsoft for this. They provided me with a loaner phone knowing full well that I was intending to compare it with Android and iOS and give it a subjective series of reviews. As I've been writing about both the positives and negatives of the phone, they've been pleasant in their responses. At no time did they try to influence my coverage while at the same time, they've provided timely answers to questions. In previous articles (see the box on the right) I discussed, , , and the big one: . I ran into some brick walls, but was pleasantly surprised by how well-evolved the Windows Phone environment was from an app perspective. In this final article of the series, I'm going to talk about the Lumia Icon itself, some final overall impressions of Windows Phone as a user, why I would or would not switch to it, and my expectation for Windows Phone in terms of the future of smartphone competition. Despite the many phones I've owned over the years, I have never owned a Nokia phone. It just worked out that way. From a hardware perspective, the Lumia Icon is a very nice phone. The three factors that caught my attention immediately were the stellar screen quality, the built-in inductive charging, and the extra button designed specifically as a camera shutter release. Speaking of camera, the Lumia Icon camera is excellent. It's clearly superior to the one in my Android S4. I can't tell you if it beats the iPhone 5S (which has a great reputation for camera quality) or the Samsung S5 (because I'm still on contract with the S4). But comparing my iPhone 4S and the Samsung S4 to the Lumia Icon, the Lumia wins. It's a very nice camera. Heft, weight, size, and design feel are all very well-done with the Lumia. If it ran Android, I'd break my contract right now and swap out the S4 for it. Would I switch to Windows Phone? I took this question on in substantial depth in my app challenge article, but there are two important factors that come into play: my work collaboration needs and my personal preferences. Bluntly, if I wanted to just carry one phone around, I couldn't switch to Windows Phone because it doesn't support my work collaboration needs. 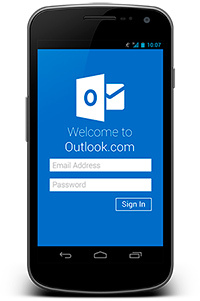 I communicate with my colleagues using Google ecosystem tools that are simply not available on Windows Phone. This is certainly not the fault of Windows Phone, but it is a reality. Given that work collaboration is an absolute necessity and I don't want to carry two phones, Windows Phone is out for me. But what about my personal preferences? If I didn't have these Google-specific collaboration needs, would I switch? I use, and found the live tiles to be too inflexible for my needs. I was disappointed that I couldn't change colors on some tiles, I couldn't resize some tiles to the width of the full screen, and I couldn't fully control what I wanted to display. To be fair, I didn't spend a tremendous amount of time researching live tiles. There could be third-party apps that provide all the customizing I would want. They didn't show up in early searching, but they might be there. Another deal killer was the keyboard. I didn't realize how attached I got to dictating into my phone until there was no microphone button on the keyboard. Even for simple, quick things, I seem to use a mix of typing and talking. I found I grumbled with frustration every time the Windows Phone keyboard popped up and there was no microphone. These are subjective impressions, so keep that in mind. Remember: I'm a geek. I write the DIY-IT column. I customize, tweak, and hack pretty much everything. I am not the target user for Windows Phone. Would I recommend Windows Phone? This is the much more valuable and useful question. My personal usage pattern is pretty different from the norm. Heck, I have to install updates on light bulbs. I have 10+ monitors in my living room. I am not exactly "normal" in any sense of the word. But what about other people. Would I recommend Windows Phone 8.1? The answer to this is a simple "yes." Windows Phone is a fine OS. When recommending a smartphone, there are the same sorts of "if this, then that" questions I'd ask anyone who wanted to know what computer to buy. For example, for people who just want to surf, use email, and Facebook. But I'd never recommend one to a photographer. Windows Phone is not perfect for everyone, but it is very nice. At this point in its lifecycle, I can confidently say that it's as usable a smartphone platform as any of the others, and it does some things very nicely. 1. BROAD COMPATIBILITY - Work with Bluetooth enabled devices, like iPad, iPhone, iPod, HTC, Galaxy, Blackberry, MP3 Players, PDAs, Smartphones. 4. USB CHARGING - Comes with a 5V-2.1A charging port to charge most USB devices. WHY BUY TECH ARMOR BALLISTIC GLASS? - Tech Armor is the #1 trusted online resource for screen protection with our industry leading LIMITED LIFETIME WARRANTY.